As many of you know, one of the most offensive ways Wall Street banks stick it to their employees is by conducting a round of layoffs just prior to bonuses being distributed. 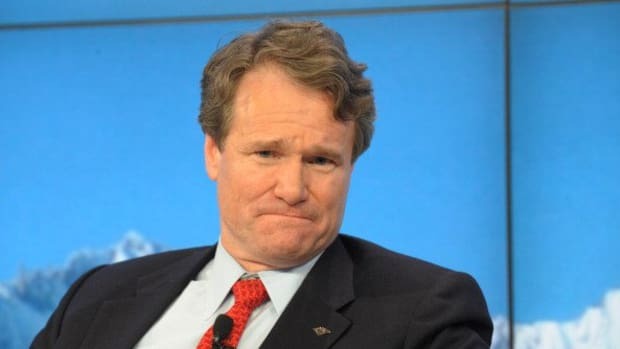 Yet in an uncharacteristically human move, Bloomberg reports that all the people expected to be cut from Bank of America in the next month or so might actually get paid for last year&apos;s work. Chief Operating Officer Thomas Montag, 59, is increasing pressure on deputies to lower expenses across his trading and investment banking world, according to people with knowledge of the initiative. While managers have latitude on how to trim the equivalent of a few percentage points off their budgets, the effort probably will lead to job cuts in March, said the people, who asked not to be identified discussing personnel matters...The cuts would probably occur weeks after Bank of America pays bonuses to traders and bankers in mid-February. In related news, watch out for any lists your superior is making/checking twice. Business heads are scouring for ways to reduce costs, pushing to negotiate lower vendor transaction fees, and cutting travel and entertainment budgets, the people said. Executives also are drafting initial lists of people they could terminate if needed.